Among the popular favorites of homemade salsa is, of course, the famous green sauce recipe, and for obvious reasons: simple and fast to prepare, delicious to enjoy.There is also the added benefit that the green sauce recipe, like practically every other Mexican salsa recipe, possesses: once you understand and follow the easy basic instructions, then you can proceed if you choose, to add a little innovation or creativity of your own. For instance, chopped onions, garlic or avocado are imminently adaptable to the green sauce recipe. 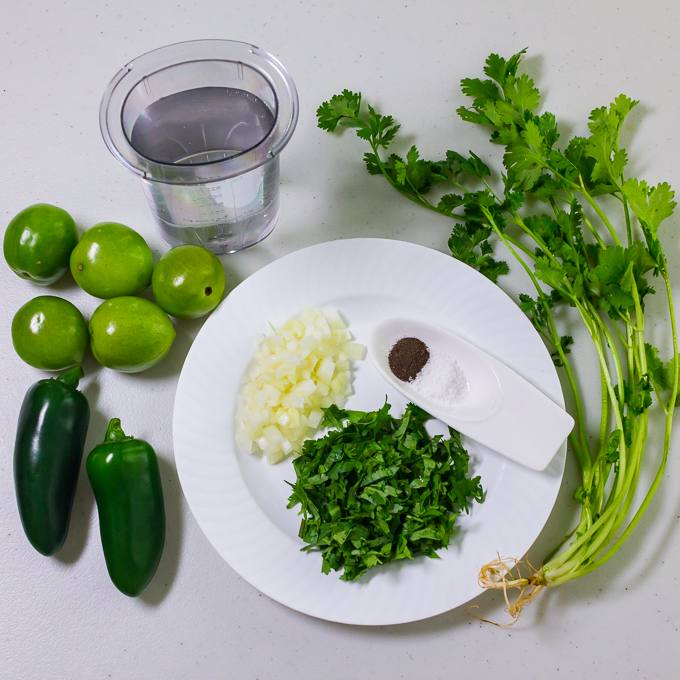 The one and only irreplaceable item is, of course, the green tomato or tomatillo.So the sky is the limit when it comes to creating your own special version of green salsa recipe. 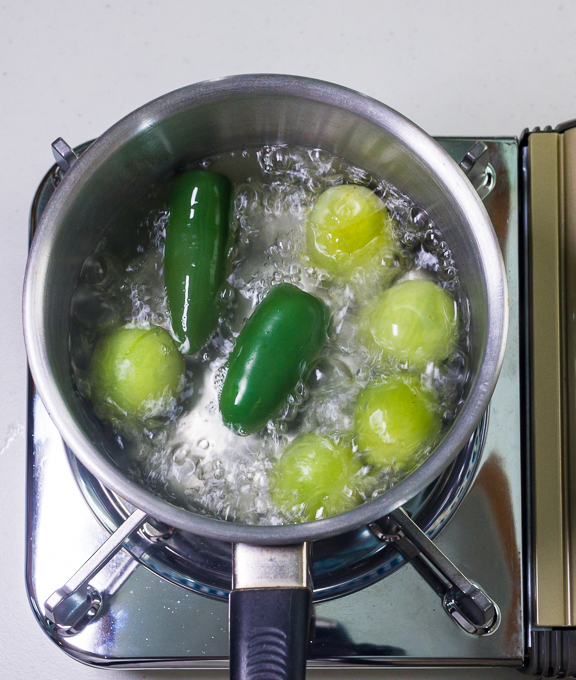 Boil the peppers and tomatillos in water until soft. Cut the softened peppers in half in order to remove the veins and seeds from the interior. 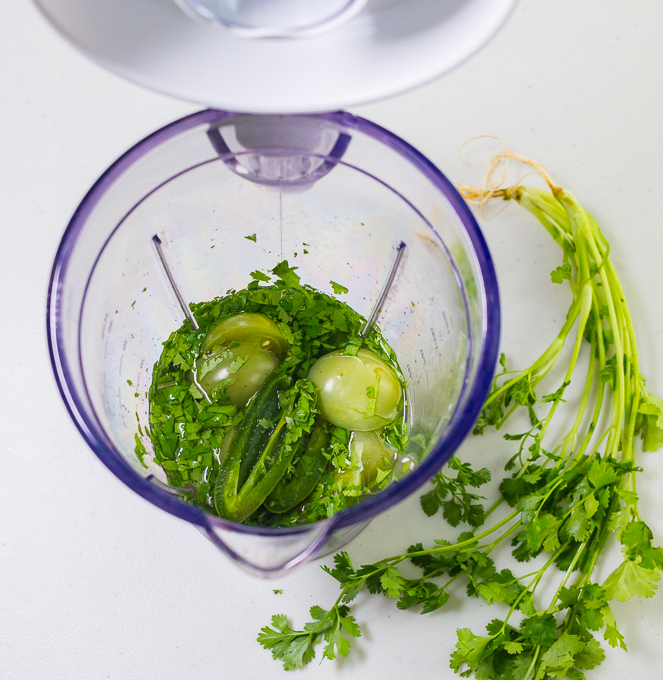 Blend to a coarse puree the peppers, tomatillos, and cilantro. There should be about 1½ cups puree. Scrape the mixture into a serving bowl. Season with salt added to taste. 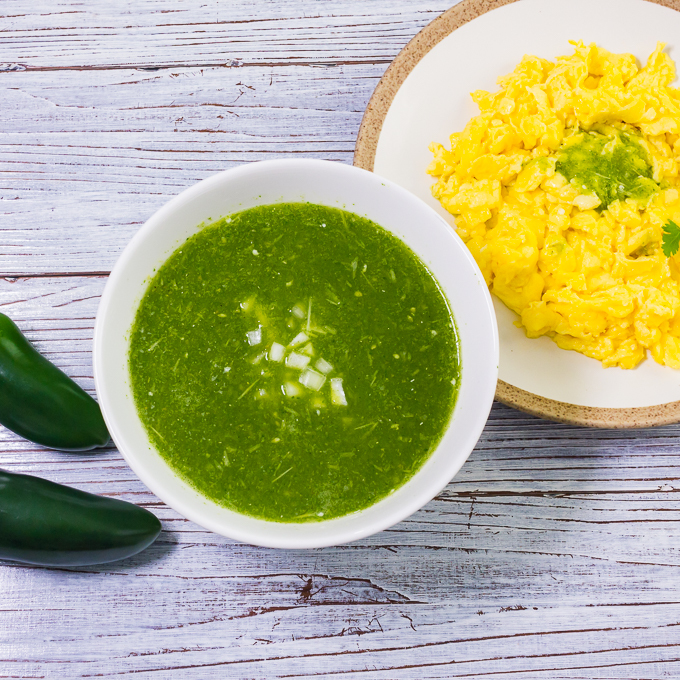 Serve as a condiment for scrambled eggs, tacos, grilled meats, chicken...whatever you wish. 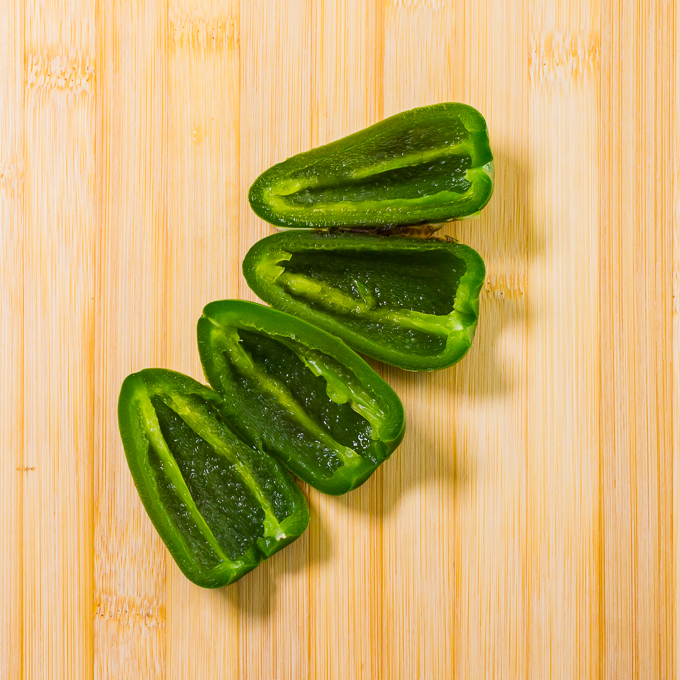 JALAPENO OR SERRANO PEPPER: The pepper is a rich source of vitamins B and C. Among the positive benefits are a lowering of cholesterol and blood pressure. In addition, the hot chili pepper works as an antioxidant and helps minimize the risk of prostate cancer. TOMATILLO (Small green tomato): The tomatillo is rich in vitamins, especially vitamin A and the B and C group of vitamins.